Sens. Joe Manchin (D-WV), Heidi Heitkamp (D-ND) and Joe Donnelly (D-IN) are among three U.S. Senators who did not sign the Democrat party line letter on tax reform. 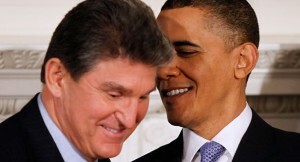 Although, Manchin hedged his bets and said he supported the fiscal ideas. Even though Manchin claimed his decision had nothing to do with politics or reelection, it had everything to do with it. What do these three Democrat Senators all have in common? They all are up for reelection in 2018 in “red” states that Donald Trump won big in 2016. Trump won West Virginia 68.6% to 26.5%, North Dakota 64.1% to 27.7% and Indiana 57.2% to 37.9%. 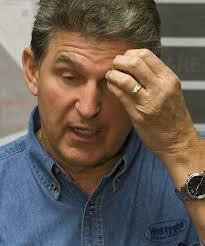 So do you think Manchin, Heitkamp and Donnelly are not feeling the pressure to break from the Democrat party line? If they continue along the path of the far-LEFT leadership of their party, all will lose in 2018. Long gone are the days of the Blue Dog Democrats, this party is bordering on socialism these days. Manchin, who is up for re-election in 2018, said even though he supports the Democrats’ fiscal ideas, he won’t sign on without efforts to bring Republicans on board. He also said the election is not influencing his decision-making. Sens. Heidi Heitkamp, D-N.D., and Joe Donnelly, D-Ind., didn’t sign either. All three Democrats are up for re-election in states whose electorates voted for President Donald Trump by wide margins. The letter was sent to Trump, Senate Majority Leader Mitch McConnell and GOP Senate Finance Committee Chair Orrin Hatch. It outlines three main policy points: tax reform should neither increase the burden on the middle class nor lessen it on high-wage earners; it should go through regular Senate procedure, not a fast-tracked process like budget reconciliation; and it should not increase the federal deficit or cut programs like Medicaid. When confronted by about his unwillingness to tote the party line Manchin replied with, “I don’t give a sh*t …” The reality is, Manchin, like the governor of West Virginia should probably think about changing parties. Or, the voters of WV need to vote him out of office as the Democrat party power-base does not. 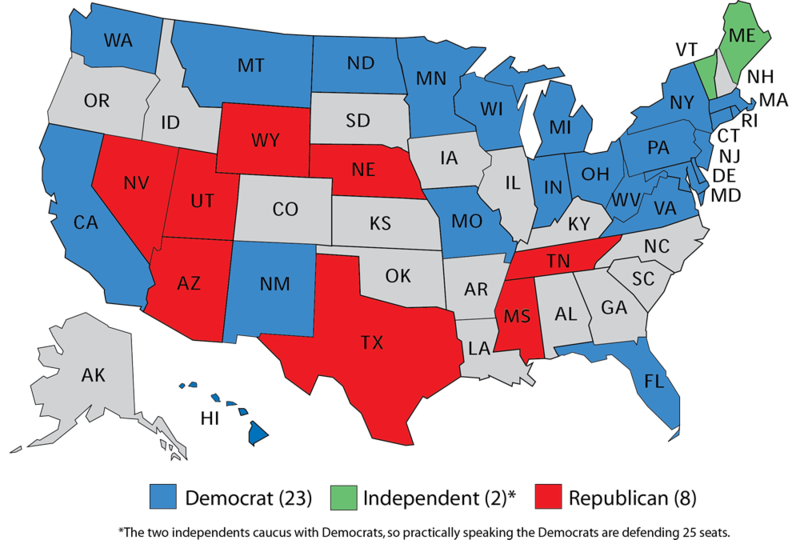 West Virginia has become a dark red state, so why would they think a Democrat Senator would serve them? Because in the end, who is is his ear? 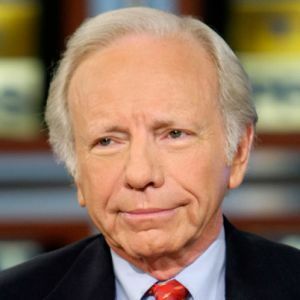 In the wake of the 2016 elections, former U.S. Sen. Joe Lieberman from Connecticut who ran as a Democrat and Independent stated that the Democrat Party will not win future elections if the liberal wing of the party takes over. He is 100% correct. The Democrat party is no longer the party of Truman or John F. Kennedy. Lieberman said, ”It’s certainly not the party that I got drawn to …”. The one time Democrat VP pick by Al Gore is saying that the Democrat party is lurching too far right and losing touch with the American people. However, the Democrat party is moving far left as they had a self-proclaimed socialist Bernie Sanders as a presidential candidate who appealed to nearly half of the party. The Democrat party that once represented the working class people and the blue color individuals is no longer. Thus the reason why during the 2016 elections Trump not only pierced the Democrat “blue wall” of the Rust Belt, but knocked it down completely. With Donald trump victories in Pennsylvania, Michigan, Iowa and Wisconsin, his message resonated with voters who the Democrats have long forgot. Former Sen. Joe Lieberman (I-Conn.) argues the Democratic Party will not win elections if the liberal wing of the party takes over. “Here is my fear about the future of the Democratic Party. In a way, relatively speaking, Hillary Clinton was representative of … center-left of the Democratic Party, not the pure left,” Lieberman said in a radio interview with John Catsimatidis on Sunday. “Now I think there will be a real attempt by the left-left of the Democratic Party to take over the party, and I don’t think that’s the way to go to make it an effective party,” he continued. Democrats have been grappling with the future of their party following Donald Trump’s upset win over Hillary Clinton last month. Republicans also maintained their majorities in both the House and Senate. If the Democrats keep up their far left liberal leanings, they are in for a tough 2018 midterm elections. Of the 33 seats up for reelection in the U.S. Senate, Democrats or Independents who caucus with Democrats have 25 seats to defend, Republicans only 8. Nine of those Democrats Senate seats are in red states won by Donald Trump. Democrat Senator in Serious Trouble Because of Barack Obama and Obamacare … Democrats, Be Afraid, Be Very Afraid. According to a new poll from Citizens United Political Victory Fund by Republican pollster Kellyanne Conway of the polling company, Inc./WomanTrend, shows that incumbent Democrat Senator Mark Pryor is in serious trouble and trails Republican challenger Tom Cotton, 48% to 41%. Many Democrat politicians in “red” states are considered vulnerable because of their support of Obamacare and the disaster and lie that it has turned out to be. Pryor trails badly with Independents, 31%-52%. Also, Barack Obama and Obamacare have a favorable, unfavorable in Arkansas of 35%-61% and 29%-62%, respectively. Pryor, considered by many to be the most vulnerable of the incumbents running for reelection, is viewed favorably by 44 percent of Arkansas voters and unfavorably by 39 percent. 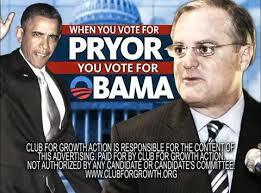 The poll found that only one-third of independents view Pryor favorably and 52 percent see him in a negative light. Other data from the polland from Hot Air. I guess Barack Obama must have promised Mark Pryor and the other Democrats who voted for Obamacare against the will of the American people, you can keep your Senate and House seat, if you like your Senate and House seat. We all know how that worked for American insureds. According to TPM, Democrat Senator from West Virginia Joe Manchin is working on a bill that would delay the “individual” mandate fir Obamacare for one year. After the disastrous rollout of the Obamacare website, Healthcare.gov, and the fact that the site just does not work and is an embarrassing joke … a delay in the individual mandate may be in order. It will be interesting to see if this bill gets traction with other Senate Democrats. The dominoes are starting to fall … More to the point, Democrats fear a backlash in 2014. Sen. Joe Manchin (D-WV) is working on legislation to effectively delay Obamacare’s individual mandate for one year, his office told TPM on Wednesday. His spokesman, Jonathan Kott, said Manchin opposes a bill proposed by Sen. Marco Rubio (R-FL) to delay the mandate for a more indefinite period of time while problems with the insurance exchanges persist. Manchin is the second Democrat this week to call for a delay in the individual mandate. As reported earlier, Senator Jeanne Shaheen (D-NH) voiced her support for a delay as well. How about we just scrap the entire mess? UPDATE I: Senate Dems Up for Re-Election in 2014 to Back Delay of Obamacare Enrollment Deadline. These Democrats don’t care about the people, they are doing this to save their collective political a$$es and their power.